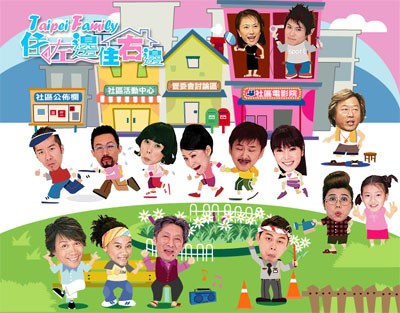 Taipei Family is a sitcom first broadcasted on PTS and switched to SETTV. It is about a family living in the Xing Fu (Happiness) Neighborhood and they discuss various problems in Taiwan society using satire. In the first two seasons, each episode is limited to 30 minutes because each episode will have two plots or ideas. In the third and fourth seasons, each episode is an hour long.